FRT VRE visibility sensor is be composed of the light emitter, light receiver and microprocessor controllers and other components. Emitter emits pulses of infrared light, the receiver simultaneously detect Pulses of light intensity from atmospheric particles scattering. 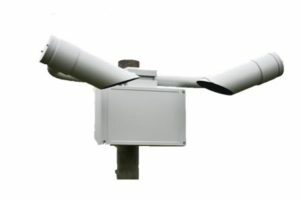 All information collected by measuring micro-controller and through specialized mathematical model algorithm into a meteorological visibility distance.